Want it by Monday 29th April? Order within 14 hours, 13 minutes and choose Special Delivery at checkout. 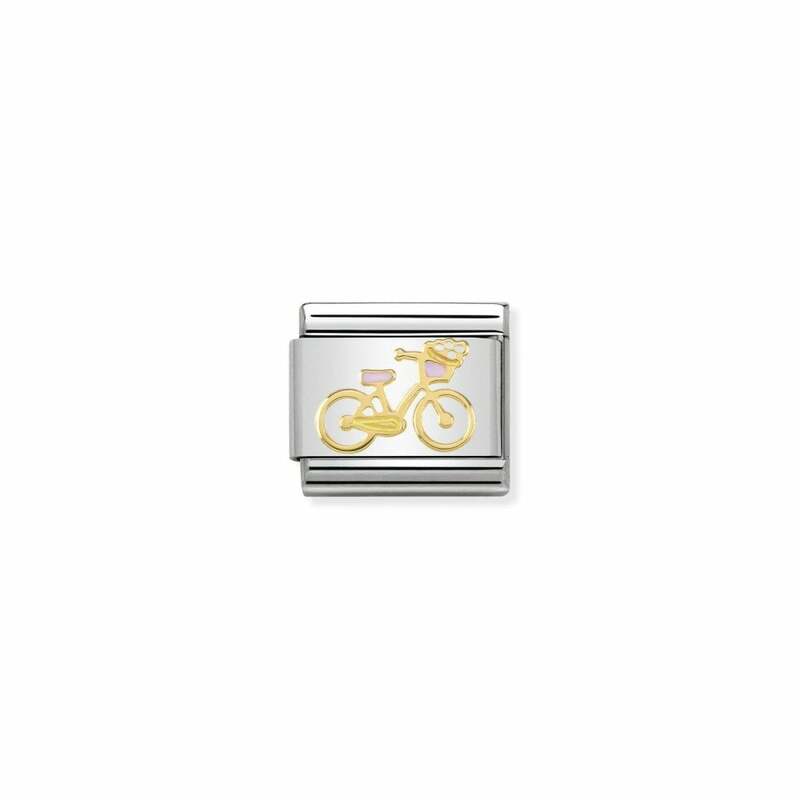 Classic Gold & Pink Enamel Bicycle Charm crafted from 18 ct gold and enamel on a bed of stainless steel. Part of the Versailles collection. Fits a Classic bracelet. Comes with official NOMINATION packaging and 2 year warranty.